Early September 6th, a Monday morning, a staff bus of Arunima Garments and Wear Limited--an industry of the Export Processing Zone--ran over Sumi, a first year student of the Philosophy Department who was waiting to go to her uncle's house during the Janmastami holiday. The accident left her gravely injured. Sumi, daughter of late Sajjad Mohammad Khan of Sadar Ponkobila in Narail, reportedly died 15 minutes after the accident with no one to come forward and take her to the hospital. Mistaking her for a garment worker, the students standing around the scene did not touch the injured Sumi. Had the students of the university acted responsibly and helped her despite who she was, a young life might have been saved. Now that her identity is known, the incident has become a source of shame and anguish. Sumi died and remained lying on the ground for more than an hour, even though a number of students, university guards, pedestrians, and shop owners were in front of the dairy farm gate where the tragedy took place. 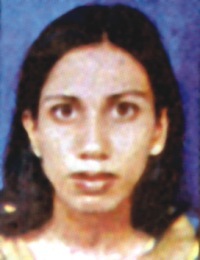 Even a staff-carrying university bus passed Shumi's body body around that time and no one came forward to help. "Sumi cried for water before her last breath but no one was available to offer her a drop of water. It is unacceptable, especially from students who claim to be responsible citizens of the country," said Koli, a friend of Sumi's, in an emotion-choked voice. The university authorities reached the spot an hour after the arrival of police from Savar thana and brought the dead body inside the campus at around 9:30am. The death cast an aura of gloom all over the campus and students in a fit of anger vandalised and set fire to a number of shops near the spot. Expressing shock at the behaviour of the students and pedestrians, V.C. Professor Khandaker Mustahidur Rahman said, "Was there nobody on the highway to take her to the hospital? We should behave responsibly and be sympathetic to others regardless of his/her background." Seven people, including a teacher, were killed on the highway near the campus in the last 10 years, while more then one hundred people were killed between Savar bus stand and Baipile. Meanwhile, though the bus was identified, Savar thana police could not apprehend the driver and have allegedly taken a huge amount of money from the owner of the Arunima garments to stop the case midway and save the driver.